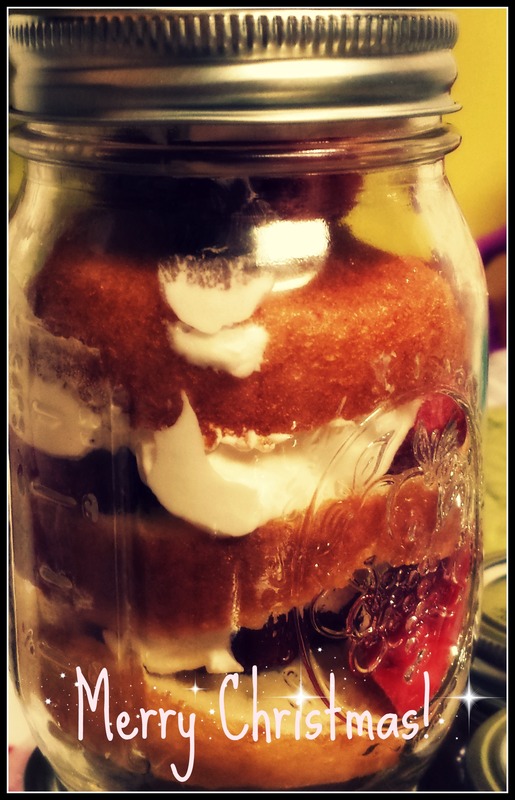 Cake in a jar – easy Christmas gift! My kids attend a small private school and I was trying to find a gift to give all the teachers without breaking the bank. 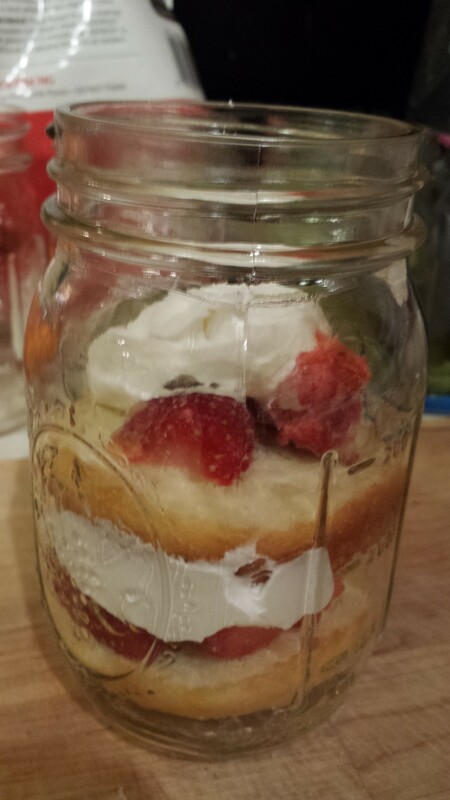 Cakes in a jar immediately came to mind. 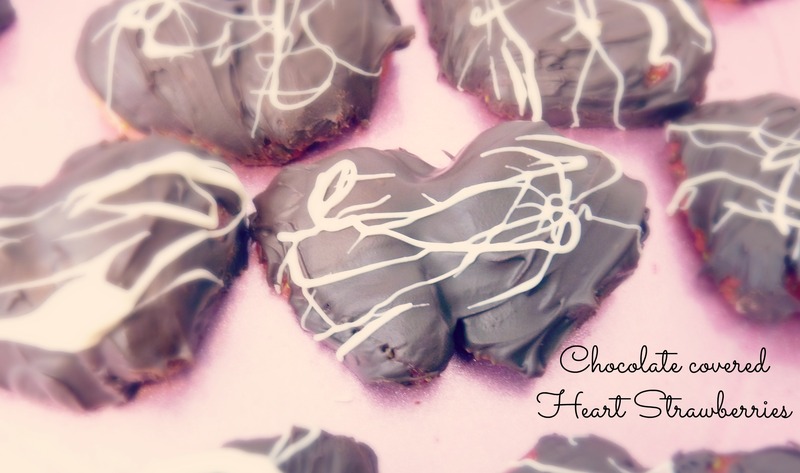 They are super easy to make and super tasty as well. 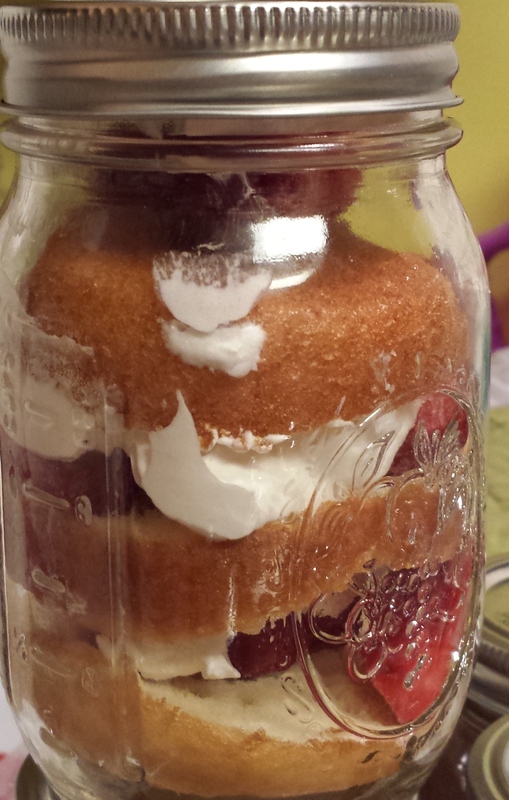 You can make any kind of cake in a jar. 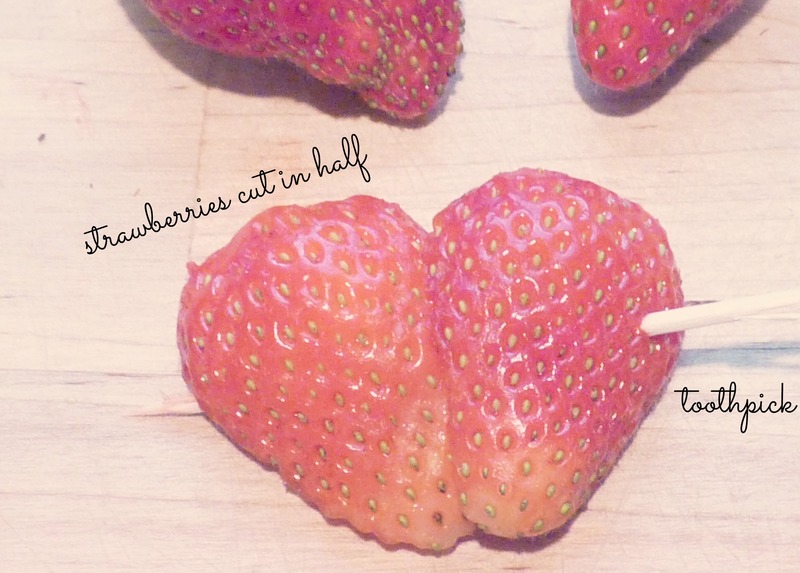 I chose strawberry short cake – my favorite. Bake your muffins according to the box. I like to add in half water/half coconut milk for a fluffier muffin. 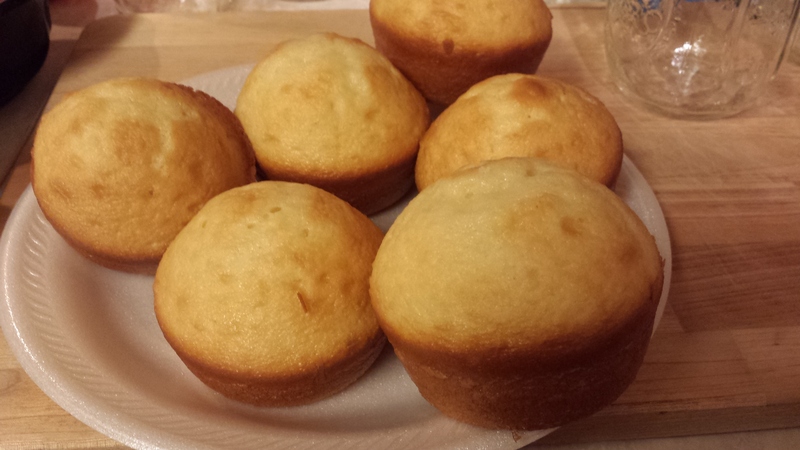 Cut the muffin into three parts. 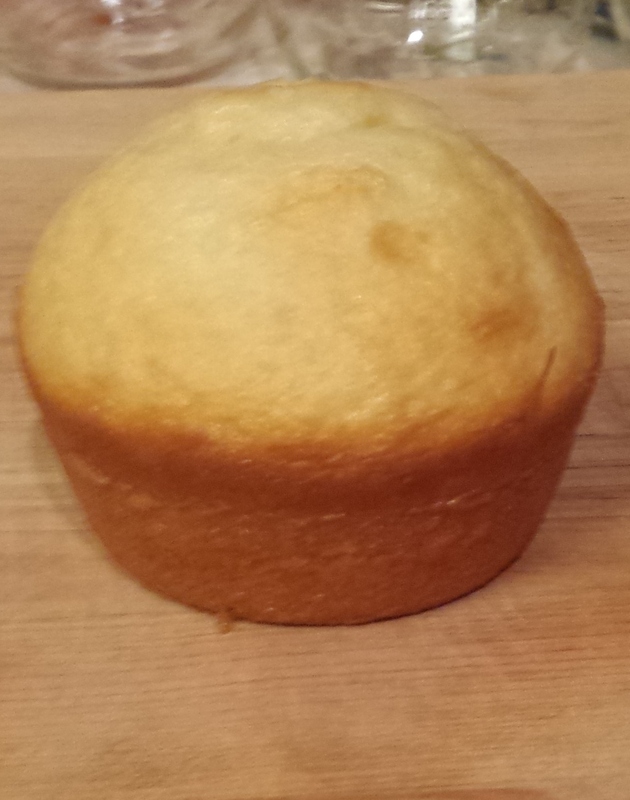 Place the muffin top (the rounded piece) in first. Add a layer of strawberries, then a layer of whip cream. Repeat step three until you have filled the mason jar. At this point, you can add a personalized tag or tie a spoon to the jar for extra decoration. I was in such a hurry to make 12 of these that I didn’t take a picture of the final product 😦 … Next time. 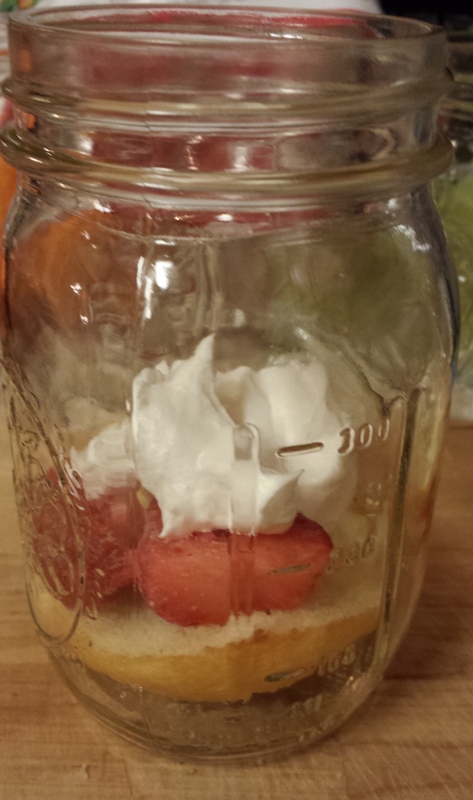 This entry was posted in DIY Projects, Recipes and tagged cake in a jar, mason jar, strawberries.